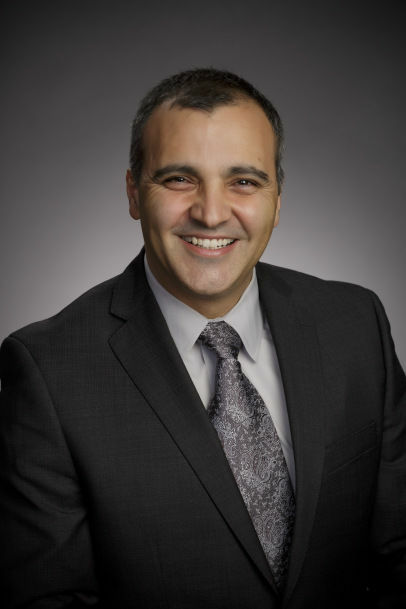 Donna school district officials announced the hiring of its new Superintendent Hafedh Azaiez last month, who officially began his new leadership role as of July 9. After a month of learning the ins and outs of the district, The Monitor sat down with Azaiez to learn more about his background in education and plans for the future of Donna and its students. His career in public education began in 2002 as a middle school science teacher and coach with the Houston school district. He later moved on to administrative roles, including assistant principal, principal and lead principal. I was born and raised in Tunisia (North Africa). It’s 5,000 miles away from here. And my bachelor’s was in physics and chemistry, so I did my undergrad there and I wasn’t sure what path I was taking. I was still going to school, but I went there (Houston Independent School District) and I applied… sure enough, I was offered the job. I was hired as a science teacher in middle school. The demographic there (at Fonville Middle School) was very similar to Donna. That school was 92 percent Latinos. LEP population (limited English proficiency) was I think like 40 percent. A lot of the kids came from Central America like Mexico, Honduras, El Salvador. That was my first assignment and I fell in love. I fell in love with the kids; I fell in love with teaching. And that’s pretty much where I learned Spanish, I learned from the kids. I think I learned from them and I learned with them. Here I am, me, somebody who is a foreigner pretty much and only been in the country for like three or four years trying to learn the language, the English language, but at the same time trying to learn Spanish. So for me, it was like I understand where they are coming from. I’m still myself learning it. How did you move up the ladder in education? People I worked with saw something in me that sometimes I didn’t. I never really thought what would be the next step. I always enjoyed what I had and I let the work speak for itself and get me places. On my second year teaching I became a team leader… then I helped teachers become certified and a principal asked me if I would be interested in a position at his campus as department chair of the science department. So I went for the interview and got the job. My second year there I was selected as the Houston ISD secondary teacher of the year. At that campus I worked under a very good and inspiring principal. So I saw what a good leader could do for a campus, and that got me thinking: “One day, I want to be like him.” So I started my master’s degree in education this time, at the University of St. Thomas, in Houston. After getting Teacher of the Year, I was offered a position as assistant principal at another school and it was one of the hardest decisions, as far as a career move, I’ve had to make. It meant leaving the classroom… but I did it, finally, and I’m glad I did because I was able to work under another wonderful and amazing leader who really empowered me, showed me and mentored me. We were able to accomplish great things. That campus was an acceptable campus when I got there, and at the end of my third year we went to exemplary status. It was a team effort, all of us working together. Then I got recruited to apply for two principal positions in my third year there, and I applied. At that time there were two campuses, one was doing well and the other one was struggling, and I said, “I want to make a difference,” so I went with the struggling one. And I think that was one of the best decisions I made. What attracted you to that struggling campus? I am always attracted to a challenge. I’ve always wanted to make a difference. I guess to me the reward you get when you make an impact or a change, like student outcome, or improve things for students — to me that’s more rewarding than I guess the money you get out of it. When it’s good, keep it good; or if it’s great, just keep it great. That’s easy, and to me easy doesn’t challenge me. I get bored. I want to see greatness; I want to see a difference. When I first got there the enrollment was in decline — a steady decline. …A lot of things were neglected, so we turned that campus around within three years. We had 40 or 50 percent (enrollment) increase. By the time I left, which was at the end of year five, the campus was almost at 1,300 kids. We fed more high schools from that campus than any other middle school in the Houston area. We started things that other campuses started to offer. Is this what brought you to Donna ISD? I did some research and I looked at what the news was saying about Donna, what TEA has on Donna… so many things you can find in academic data. I did all that stuff. To me, I felt like there was a definite challenge, but to me I’ve always wanted to be part of a challenge and help turn things around in a good way. So I felt like there was some traction there. So when I came and I sat with the board members, through the questioning and through my interaction – I think I sat with them for an hour and fifteen minutes that first time – I felt like I connected with them. I connected with them in the sense that I felt like they really wanted a change, like they sincerely want that change. I felt like they really want to turn things around. I was joking with them and I did say to them, “I felt like as much as you were interviewing me, I was interviewing you.” Because you don’t want to come to a situation where you can’t get anything done, and I told them that I am honest and straight. What are some of your current plans to change the district? Well, it starts form the top. Me and our board members, all of us have to work together by leading and leading by example. It starts by being transparent, having open communication. But also where many leaders fail is on two parts. Part number one is not being inclusive, not including people in the decision making. Sometimes you rush and you fail by not involving the right people or by not putting the right people around the table. The second part is that sometimes they don’t explain the why behind their decision, because as leaders you have to make tough decisions sometimes, and if you are inclusive and if you explain the why on your decisions, then I think you will be 99 percent set for success. I’m going to also be visible as much as I can. I have to be a good listener. I want to learn before I make big decisions. I’m also someone who truly believes in coaching people… I have high expectations of you, but I will coach you and help you get there. This is the same with academics. Our goal is really to increase the number of students who are reading at grade level. We want to start early on. We want to make sure our students are excelling on any test. We want to make sure that we prepare students for college, career and military. And not only prepare them but make sure they can be successful. I think that the way of achieving these goals is providing opportunities for every student… because I might not be somebody who is into music, or athletics, so what can you do for me? We need to look for other options, opportunities and choices for every kid. We need to make sure to challenge them at their full potential, whether that means offering advanced courses at the middle school level, or increasing our dual-credit enrollment and AP offerings at high school, so be it.